Roger Gordon receiving the Sister Cities New Zealand Supreme Award on behalf of the Cambridge Community Board. 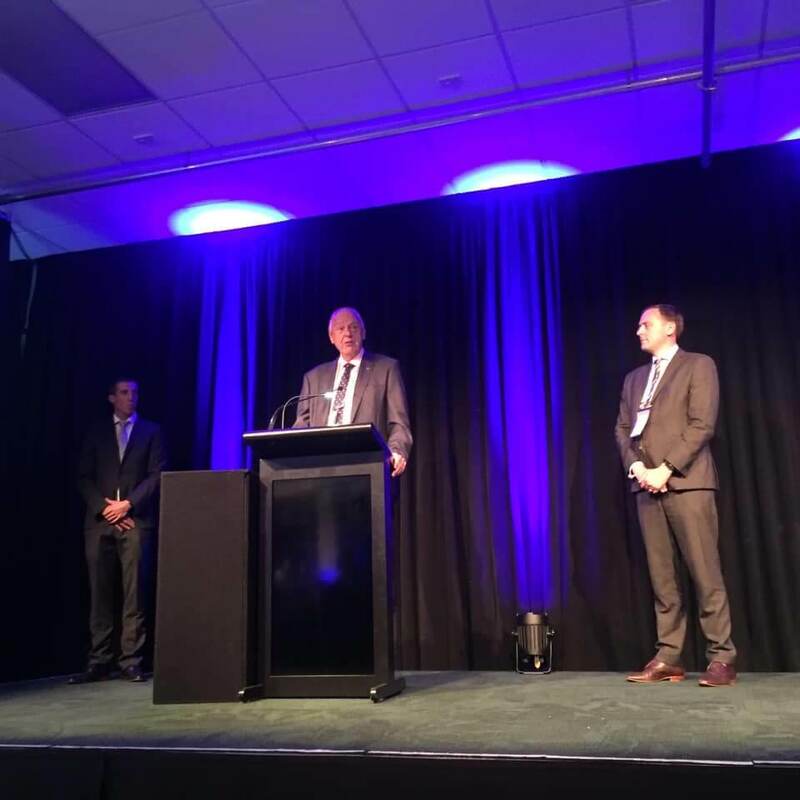 The Cambridge Community Board took top honours at the Sister Cities New Zealand Awards in Palmerston North on March 23, winning both the Supreme Award and the award for community organisations. Cambridge Community Board member Roger Gordon said he was blown away when they were announced winners of the community organisation award. “But when the second announcement came that we had won the overall major project, for once I was speechless, but beaming with pride of how much we had achieved through the efforts of an army of committed Cambridge residents,” Gordon said. The Board’s efforts to strengthen Cambridge’s relationship with French sister city Le Quesnoy was a key driver behind the success at the awards. This included the Board’s work in raising awareness of the WWI liberation of Le Quesnoy – putting on an informative family fun day, photo exhibition, and popular Light and Sound show, as well as organising Armistice commemorative events, their delegation to France for centenary commemorations of the liberation of Le Quesnoy, and their leadership role in plans for a New Zealand War Memorial Museum in France.